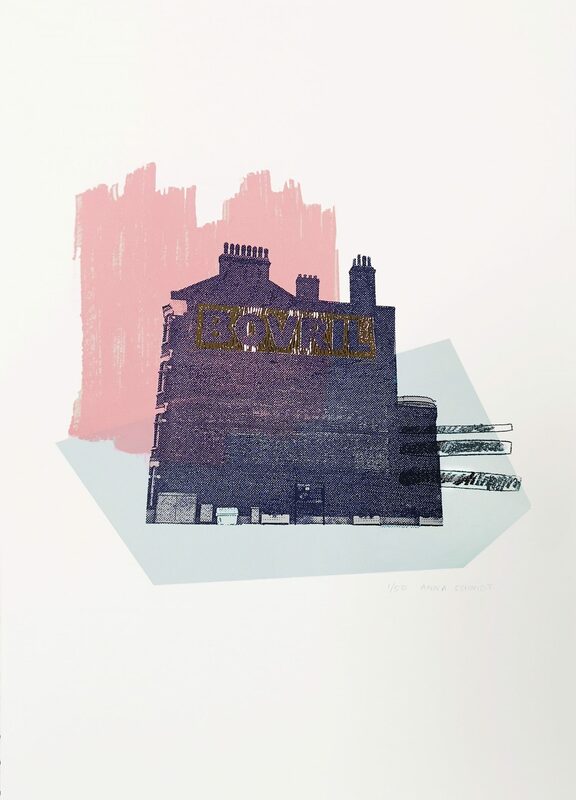 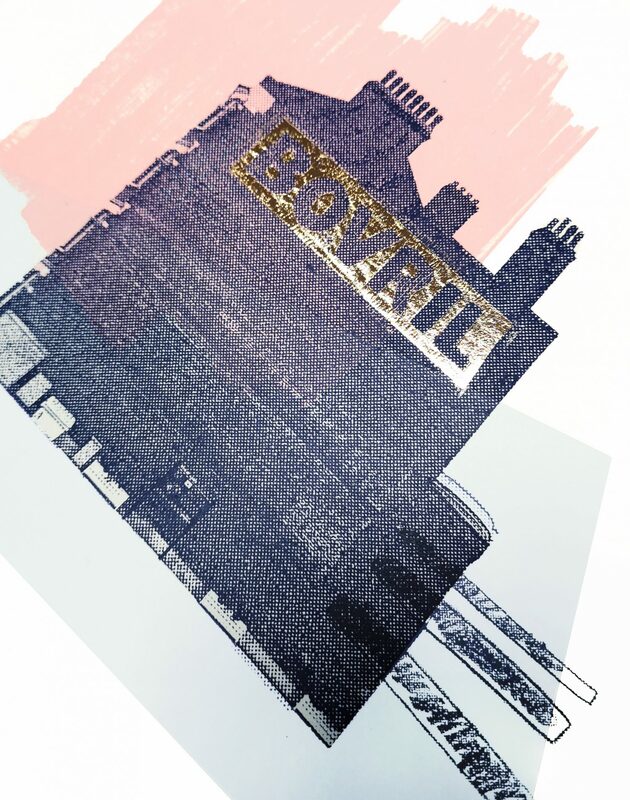 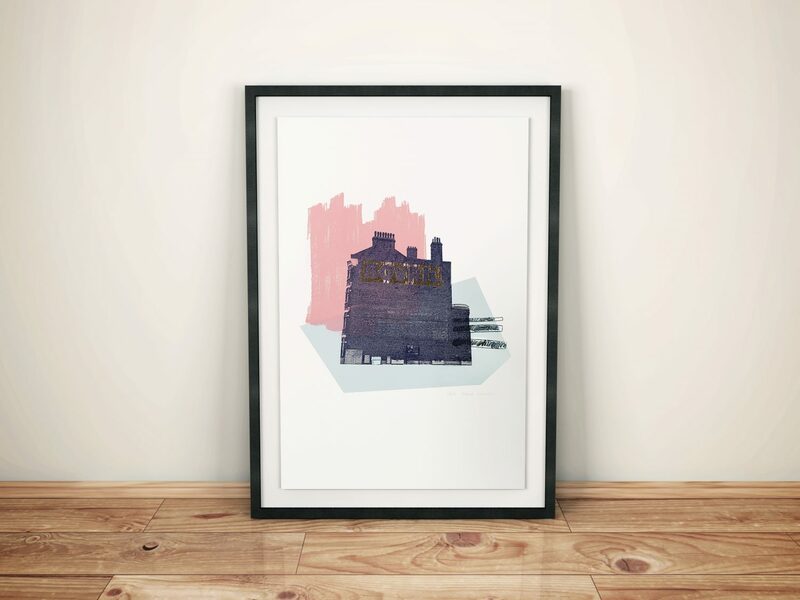 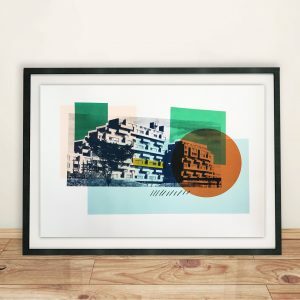 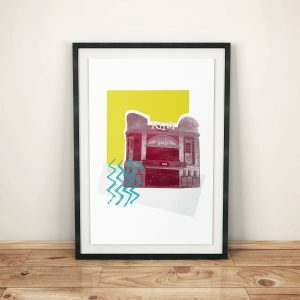 Hand silk screen print of the ‘Bovril building’ in Windrush Square, Brixton. 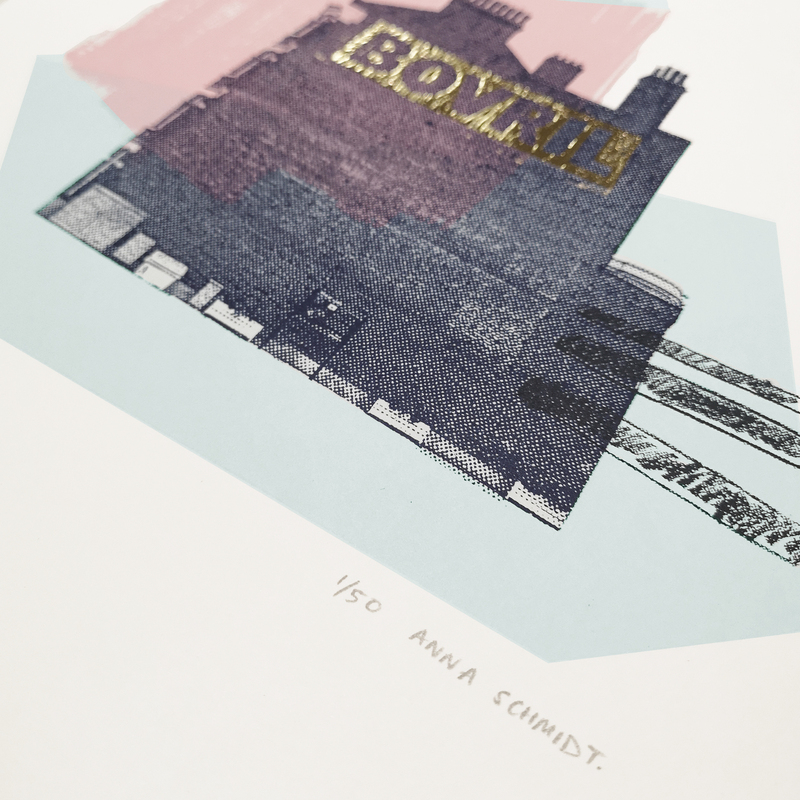 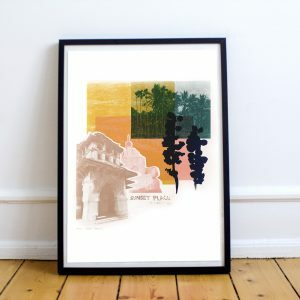 This is the third edition of this print in a peach and blue colour scheme, with golden foil details. 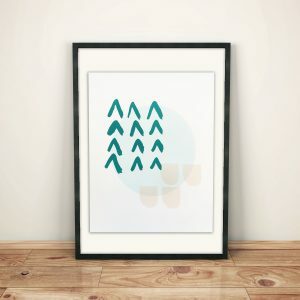 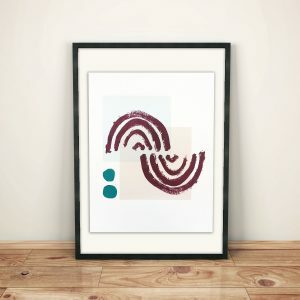 All prints signed and numbered by the artist. 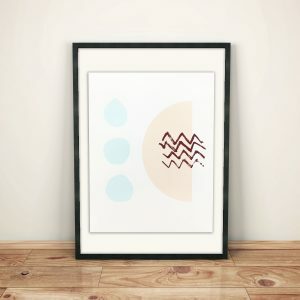 Printed on 310 GSM Southbank Smooth paper.